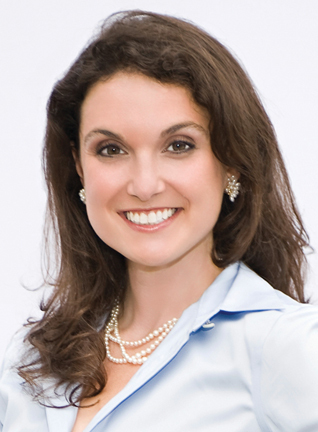 Nicole Lipkin is the CEO of Equilibria Leadership Consulting, an international leadership consulting company based in the US. She coaches and consults with leaders and their organizations to improve management and leadership skills, strengthen the leadership pipeline and develop sustainable behaviors and practices that help increase organizational resilience and sustainability. She is also the owner of Equilibria Psychological and Consultation Services, a psychology practice located in Philadelphia. Nicole is the co-author of the popular business and management book, Y in the Workplace: Managing the “Me First” Generation. Her latest book is What Keeps Leaders Up At Night: Recognizing and Resolving Your Most Troubling Management Issues, (AMACOM, June 2013). This book is about the psychology, neuroscience and group dynamics underlying leadership challenges. She is a speaker, consultant and coach who has been retained by leading multinational and national organizations and associations. Nicole is a regular contributor to the national and international broadcast community. She received a doctorate in clinical psychology, Master of Business Administration, and Master of Criminal Justice at Widener University. She is an adjunct faculty member through the Center for Creative Leadership and is a Board Certified Coach. She is also a licensed psychologist in Pennsylvania and New Jersey. Morris: Before discussing What Keeps Leaders Up at Night, a few general questions. First, what keeps you up at night? Lipkin: Besides my snoring boyfriend and two cats that insist on sleeping on my head, I would say that when I fall into a state of “being too busy to win” and ignore the signs and symptoms, I find myself staring at the ceiling at 3 AM. Being too busy to win is a state of existence that we all fall into from time to time. It speaks to the constant battle most of us are fighting in this workaholic, continuously wired and connected global community. Although I’m energized when I’m juggling a bunch of different tasks at once, I’ve found that when I have too many balls in the air, several end up dropping, and none gets the attention it needs or deserves. For me, this is when my brain nagging and sleepless nights begin. Morris: Who has had the greatest influence on your personal and professional growth? How so? Lipkin: Although this is trite, I would have to say my folks. My parents were incredible people but they passed away when I was young (my dad when I was 12 and my mom when I was 19-years old). Needless to say, that early loss had an incredible impact on my personal growth. I had the potential to really mess up and make bad choices but I never could get my mother’s voice out of my head, encouraging me to do things the right way. It kept me on a positive path. In addition, my folks were incredible role models. They were driven, operated with emotional intelligence, were supportive but also direct, and were the first to admit when they made a mistake. Having them as models for emotionally intelligent behavior really influenced my upbringing, as well as my leadership style today. So, they gave us 200 bucks each, opened up a bank account, drove us down to the wholesale district in Manhattan and guided us through buying inventory, learning how to keep books and the financials of our new business. The next weekend we opened up shop. So I would say that from the age of five, and probably before, I was destined to be an entrepreneur. It wasn’t necessarily a choice; it was a combination of nature and nurture, creating a style of thinking and style of relating that set the stage for an entrepreneurial personality. I have a terrible case of hyper-focus on ideas one minute and then massive idea ADHD the next. It’s how my brain works and my psychology functions. Being an entrepreneur means I get to operate without walls. It means I get to do what I want, when I want, how I want (I guess I’m still five years old at the end of the day!). Being given the opportunity to explore this side of my personality at such a young age really paved the way for my entrepreneurial spirit (but don’t get me wrong, I really resented the fact that I didn’t get to sleep in and watch Saturday morning cartoons). Lipkin: Truthfully, I have found the informal education to be more invaluable to what I have accomplished to date. However, the formal education has definitely helped with credibility building. Lipkin: I’m personally a fan of Office Space. I think the best way to learn what to do is to learn what not to do. That movie has the perfect recipe for how to be a horrible boss, how to disengage, how to create workplace resentment and hostility, how to create a horrific culture and environment and ultimately how to stall performance, productivity and human potential. Morris: Here’s an observation from Albert Einstein: “We cannot solve our problems with the same thinking we used when we created them.” Your response? Lipkin: Great quote! To me this stresses the importance of fluidity and flexibility with thought. It’s so easy to stick with comfortable, tried and true ways of thinking. It’s not so easy to be flexible in your thinking style and decision making style, but it’s this flexibility that truly helps us look at problems in effective, creative ways. Lipkin: In my opinion, what’s missing in business school curriculum is personal and leadership development classes focusing on developing emotional intelligence, communication and influence skills, conflict management and resolution skills, critical thinking, group dynamics, teamwork skills, et cetera. Of course some business schools have these classes, however, they tend to last a semester or two. We all know leadership development is ongoing so I believe this should be part of the core curriculum throughout the entirety of the program. In fact, if I had my way, I would start including these development programs (teamwork, leadership and personal development) as early as second grade because these early social and educational experiences are what sets the stage for excellent leadership and social skills as we age. Morris: Now please shift your attention to What Keeps Leaders Up at Night. When and why did you decide to write it? Lipkin: The inspiration for writing this book was my own temporary shift from good boss to bad boss a few years ago. I was so surprised how quickly I could delve into the bad boss arena; given that it’s my job to help other leaders operate with excellence. However, just like every person responsible for managing others, when you operate, even temporarily without self-awareness, you open yourself up for some major problems. Basically, I had a terrible employee that I should have let go very early on. However, I didn’t want to admit I had made a bad hire and didn’t want to think I couldn’t develop her. Instead, I put more time, money and effort into trying to “fix” the situation, rather than recognizing it wasn’t a good fit in the first place. My unwillingness to let go not only caused me significant stress, it poisoned the culture of my organization and I incurred significant financial losses related to accounting errors on her behalf. The experience was painful but the lessons were invaluable. Lipkin: There actually were a lot. Even though my background and education is in psychology, when you “re-explain” these foundational concepts to yourself in order to write about them, it re-opens your eyes to all the funky biases that occur in your thinking and relating. From how our perceptions of stress actually shape our response to how our brain reacts to change, reminding myself of all the games our minds play on us in our day-to-day functioning, at home and at work, really refocused my perception. Each has its own signs and symptoms. You can’t be a great boss when you are overwhelmed and way too busy to win. A good way to think about the warning signs is to think of your brain like a shelf. You set it up and over time you forget that the directions said max 50 pounds. So you keep piling books on that shelf and ignore the sagging middle. Another book. Another book. Then snap and you act surprised. So as this shelf starts sagging, our mood starts sagging too. Some of the warning signs for being too busy to win are: readily losing your temper, anxiety, procrastination, forgetting things, loss of concentration and focus, getting stuck writing to do list after to do list without ever to-doing. Your mind does a great job of telling you when you’re too busy to win. It’s up to you to recognize the symptoms and take care of them. When you are too proud to see, you are letting all of the funky (yet very natural) cognitive biases take over and interfere with effective decision-making, problem solving and ultimately the efficacy of your leadership. One of the most costly examples of failing to recognize the signs and symptoms of all of these good boss gone bad triggers occurred in November 2011 when Antonio Horta-Osorio, CEO of Britain’s Lloyd’s Banking Group, was forced to take an extended enforced break due to stress and overwork. Horta-Osorio had joined the group earlier that year and had become CEO in March. By the fall he was suffering from such acute insomnia that he remained awake for five straight days. With no rest and increasing stress and mental exhaustion, he was forced to seek medical help. The results were dramatic; shares in Lloyds shares fell 4.4 percent, a whopping $1.5 billion reduction in market capitalization. Horta-Osario eventually returned to the bank in late December, but he forfeited his bonus and was forced to radically alter both his work and personal habits. These characteristics strengthen the relationship, harness referent power, build relational credibility and ultimately, improve influence. Lipkin: People not only need to buy into you, they need to buy into your message. Messages are heard, processed and integrated much more comprehensively when they are told in a way that connects with personal human experience. Story telling is a universal connector and thus, story telling to relay a message is one of the ways to get people to buy into your message. Lipkin: Stress is a given. You can’t avoid it. However, the stress response is negotiable. More specifically, we all have a choice with how we are going to respond to stress. Many factors-core beliefs, a tendency toward pessimism and optimism, sense of control over a situation, and one’s degree of hardiness—figure into a person’s response. Individuals can learn to cope with these variables to some extent and thereby exercise more control over them and change them over time. Understanding the perceived threat is the first step and understanding one’s coping mechanisms is the next to counteract one’s response. Lipkin: A good fight versus a bad fight refers to good, productive competition versus bad, unproductive competition in the workplace. A healthy dose of competition in the workplace can enhance motivation, innovation, productivity, teamwork, engagement and serve as a instigator of fun. Bad competition, often fueled by unmanaged envy, can sap motivation, kill collaborative processes, stunt performance and productivity, poison team and organizational culture, reduce engagement and commitment, increase stress, ruin reputations and poison workplace fun. Lipkin: Panoramic success is an approach to success that takes into account the “big picture” and best interests of all stakeholders. This is compared to a myopic version of success, which is “nearsighted” and defined in terms of self-interest. Lipkin: There are many mental biases or roadblocks that prevent us from coping with change effectively. One surprising one is pure exhaustion or ego depletion. The more choices we have to make in a day or the more will power we have to demonstrate (e.g., not eating desert or choosing a piece of fruit over a piece of chocolate), the less able we are to solve problems or make decisions effectively. This doesn’t mean we can’t make decisions after a long day or after chocolate deprivation, it just means it’s important to pay attention to this phenomenon, because sometimes our minds need to regroup before delving into an problem that needs to be solved or an important decision that needs to be made. Lipkin: Emotional contagion is when negative emotion spreads virally, negatively impacting other people, teams and potentially an entire corporate culture. Our limbic systems (which is our emotional center in our brain) do a kind of tango with one another. For example, if you have ever been around someone who is chronically negative and down, you often feel really negative and down around them. The opposite is often true around upbeat, positive people (as long as they aren’t the really annoying kinds). We can’t help it because we mimic one another and when we smile around someone, those smile muscles produce hormonal and physiological changes that trigger the limbic system and induce the feeling of happiness. The same is true for anger or sadness. So unmanaged negative emotions in the workplace, often triggered by disengagement, can have quite a negative impact on the mojo of an organization. Lipkin: Motivation makes us do what we do. Beginning in infancy, our biological hardwiring causes us to react in certain ways to all types and intensities of motivation throughout our lives. Engagement, on the other hand, encapsulates the “what” of motivation. What makes us do what we do? It also includes the “how” and “why” behind what we do. It incorporates our motivational drives, our social connections and our sense of personal meaning. In honor of bringing human nature back into the workplace, the SLAM Model is a holistic approach to engagement that respects all of the important aspects of human nature: psychology, physiology, emotions, attitudes and behaviors. When leaders and their organizations get this right, they will find it much easier to keep a firmer grip on all those quirky, messy, psychological, emotional, behavioral, cognitive and physiological subtleties of human nature that everyone brings to the job. Morris: Let’s say that a CEO has read and then (hopefully) re-read What Keeps Leaders Up at Night and is now determined to improve key issue recognition and resolution at all levels and in all areas of the given enterprise. Where to begin? If you are actually going to take the time to change an environment, you need to figure out and fix any aspects of your own leadership style that could potentially interfere. This is not so easy to do so getting some good, solid (and honest) feedback from a trusted advisor to help you identify your own red flags (potential leadership derailers) will serve to be incredibly useful. This awareness (and hopefully follow up action) will help you avoid getting in the way of the change you are trying to make. Morris: For more than 25 years, it has been my great pleasure as well as privilege to work closely with the owner/CEOs of hundreds of small companies, those with $20-million or less in annual sales. In your opinion, of all the material you provide in What Keeps Leaders Up at Night, which do you think will be of greatest value to leaders in small companies? Please explain. Lipkin: Chapter 6, which is about change, and Chapter 3, which is about stress, provide readers with some really useful insight into the funky games our minds can play when we have to do something different or we are operating with too much on our plates. Once you learn this stuff, you can never not know it and once you know it, you gain self-awareness. The choice is what to do with that awareness—either do things the way you always have (a very common human trait) or shake it up a bit and do it differently.